Howdy, I am missing Beat Saber from my library of games on Rift which is my only game I own. I checked all the filter settings but nothing seems wrong. I also checked my library location which states there are 0 apps installed with 0 B of used space even though I can see the files in the Software folder. I tried creating a new library on another drive I have and copied over the Software folder but got the same results. I looked into the store and it says I have already purchased the game so I tried to hit the buy button hoping it would prompt a install but that still did nothing other then give me the message "you already own this game". I have exactly the same problem. I had apps installed in the library 3h ago, playing Beat Sabre & Farlands. Now they are all gone. Wishlist still shows the items i have wishlisted. Updates shows the last two apps i had installed (and deleted), but there should be like 10 of them. Any resolution to this issue as yet? OMG this just happened to me too, and it's Beat Saber that's missing!? WTF? I note there are a couple of others that appear missing as well, but they're not ones I've been playing a lot, but have purchased in the last two months. "We continue to ship software improvements to Rift on a steady basis,"
Run a repair installation of what precisely? Any resolution to this issue, Jeff? I'm having the same issue and so is my dad. I imagine this is an issue that we can't resolve without assistance from oculus support. Maybe its a server issue (or god knows what) on their end. I guess I'll just have to see if it's sorted tomorrow. Do we all have Beat Saber? Is this a Beat Saber issue or an Oculus? B.S. also had an update recently I believe as well. Is this confined to just B.S. being missing, or more? For me, I am missing at least one more, feels like several though, but their names aren't clicking. I had the same issue but not with beat saber. This happened to everything I purchased this last weekend plus all the free downloads indie over the weekend. I am glad to see Support looking into this issue and it isn’t just a select few! My rift was only 2 days old when this happened. I'm missing Beat Saber but the program is still in its usual spot. When I launch it from Windows 10, it won't launch anymore (whereas other apps do launch), so maybe it's a bug in Beat Saber. I reinstalled the Oculus software and there's no remedy, so it's got to be something with the game. Thanks for posting this! I just posted a forum and a ticket on this very issue. I am having the same issue. You are not alone. Looks like it’s being looked into. All my games are back in the library without having done anything. Yay! I had the issue with a game bought on the 8th Feb (Onward) which disappeared from the library yesterday 11th Feb 19. I could see it in the store and if I tried to buy again it said I already owned it. The game did not appear in the uninstall list. Logging into my Occulus account on another computer showed the missing game still in my library. I uninstalled Oculus software then re-installed and now at least I have the option to re-install the missing game, but all the games I bought or downloaded on the 8th Feb disappeared but hopefully can now be re-installed. 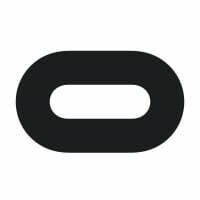 Glad others have had the same issue and Oculus are working on it. When I uninstalled I thought the outcome would be that all my games would be gone as the uninstaller seems to suggests that, but thankfully on re-install my library was back but missing content added on the 8th. It would have taken days to re-download everything. i did log a call which is still open. I can confirm all mine are back in my library now too and I haven't done anything except sleep. Thank you to the support staff for being so prompt in figuring this out. Don't know what it was, but I'm sure they'll let us know soon enough.